At first glance, neither the J-Pillow nor the trtl Pillow looks like your typical travel pillow. But they both offer comfort and support for any travel experience. We’ve put together a guide to help you decide which pillow is best for you. The feel of these travel pillows could not be more difference. 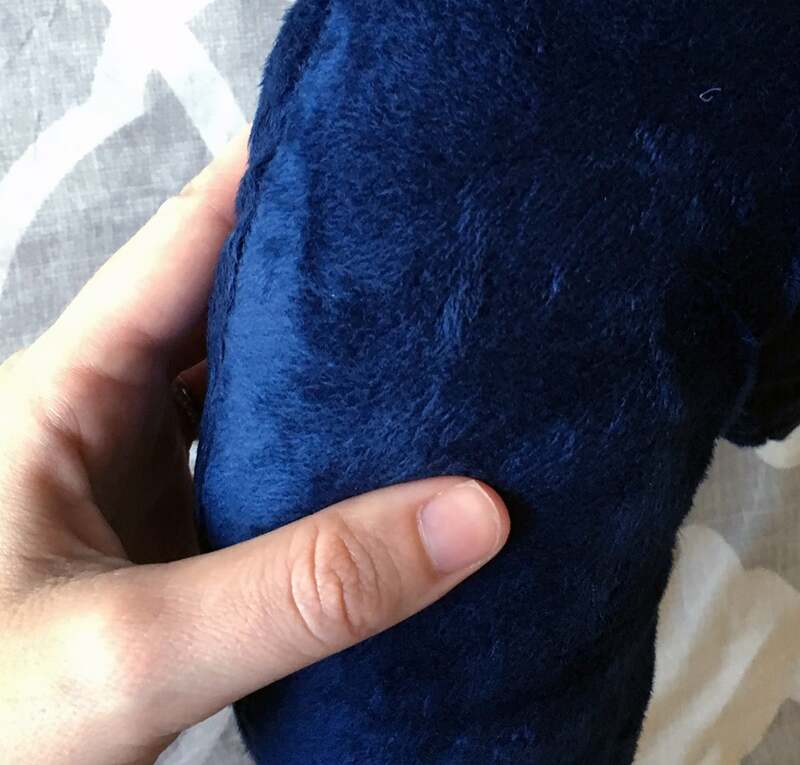 The J-Pillow is softer and more plush. It has a polyester filling that reminds me of a traditional pillow. Trtl Pillow is more about support than soft comfort. The plastic structure wrapped in fleece attaches to your neck so you can lean your head to the side and still feel supported. The only filling in the trtl Pillow is a small layer of foam. You want strong neck support. 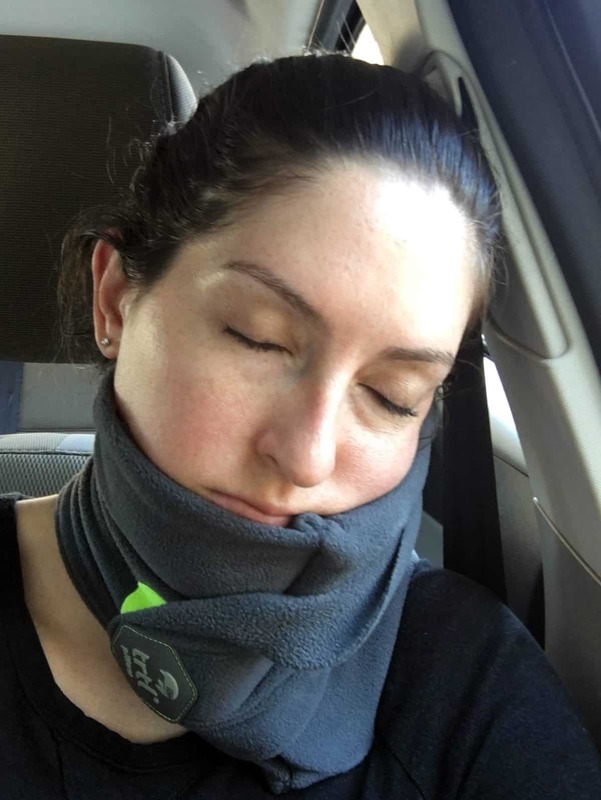 The special design of the trtl pillow allows you to wrap the pillow around your neck as tight as you’d like so you can customize your level of neck support. The plastic structure inside the pillow rests up against the side of your neck. When you lean your head to the side you’ve got plenty of support. You want a pillow that is easy to pack. It doesn’t get more compact than the trtl Pillow. 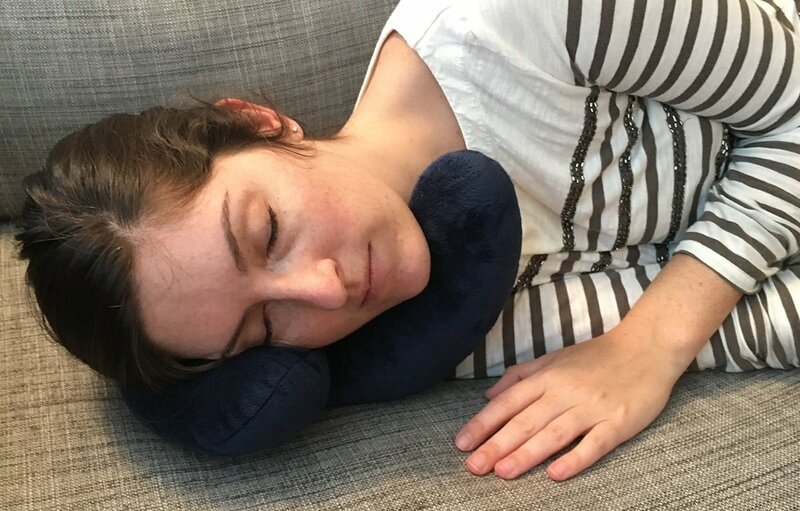 With its lack of filling – replaced with a thin layer of foam – it’s the least pillow-like travel pillow I’ve reviewed. Trtl Pillow really relies on the plastic internal structure for the support you’d usually find in pillow filling. This design makes it around the size of an adult hand and it’s very flat, which makes it a big space saver. You can read our complete review of the trtl Pillow here. With their unique shapes, sizes, and characteristics, both the J-Pillow and the trtl Pillow make great travel pillows. As a side sleeper, my heart belongs to the plush J-Pillow. 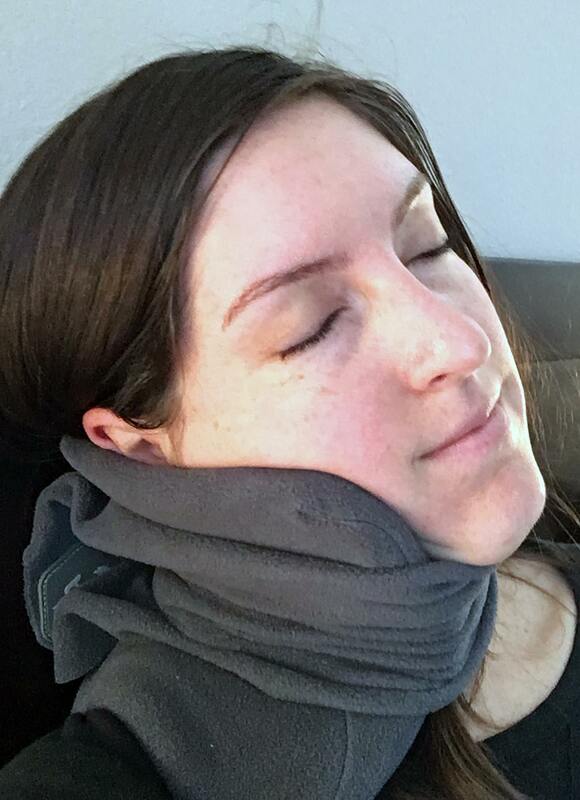 I love that I can rest the entire side of my face on it while still feeling support around my neck and chin. That being said, space savers and minimalists who just want that neck support will love the trtl Pillow. It’s adjustable and stays around your neck, which means it moves with you no matter what. The J-Pillow retails for $30 to $60 depending on where you purchase it. The trtl Pillow also retails for around $30. Based on my experience, both are worth their respective prices.